A Cruise out of Hong Kong is the perfect way to start your Asian Adventure. Set sail on one of our Hong Kong Cruises taking in the best of Asia and beyond. Home to over 7.1 million people, Hong Kong is a must see destination for your Asian Cruise holiday. Options from Hong Kong could entail a South East Asian Adventure, a Cruise from Hong Kong to Sydney, or a journey to Europe, the USA or Canada. 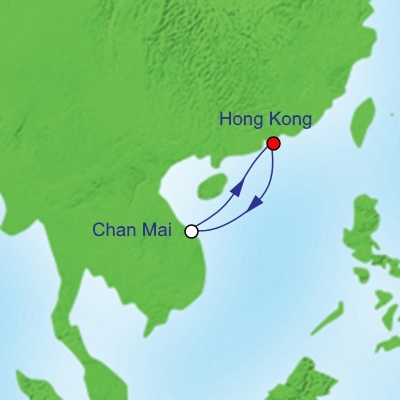 Our Last Minute Hong Kong Cruises could have you sailing within a day! Hong Kong has four seasons. Winter is cool and dry, Spring unstable and wet, Autumn pleasant and Summer - hot and humid. The official Currency of Hong Kong is the Hong Kong Dollar $ (HKD). Royal Caribbean Cruises from Hong Kong to Brisbane, Singapore, Japan, Brunei and the Philippines. Silversea has a number of cruises departing Hong Kong with stopovers in Bangkok & Koh Samui (Thailand), Ho Chi Minh and Nha Trang (Vietnam), and Singapore. Azamara Cruises operates 10-15 night cruises from Hong Kong through Vietnam and Thailand (Bangkok and Koh Samui). 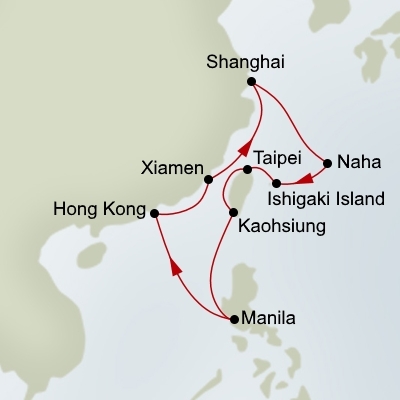 Celebrity Cruises has Cruises from Hong Kong to Shanghai through Taiwan (Taipei), Japan (Nagasaki), and Korea (Seoul). Celebrity also offers cruises from Hong Kong to Singapore. 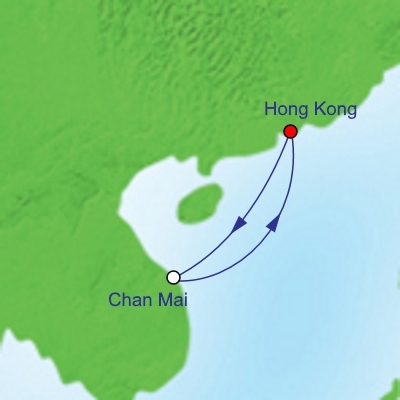 Holland America has a large list of Hong Kong Cruises which travel to China (Beijing, Shanghai), through Japan and onwards to Canada (Vancouver). 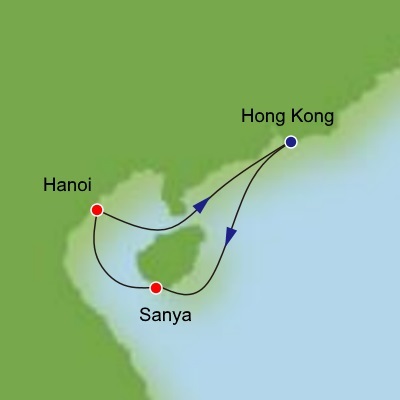 They also have some South East Asian cruises which stop in Vietnam, Thailand, Malaysia before docking in Singapore. Cunard sends the Queen Elizabeth on a Cruise from Hong Kong to Singapore stopping in ports such as Shanghai, South Korea, Japan (Tokyo, Kyoto, Osaka, Hiroshima) and Singapore. 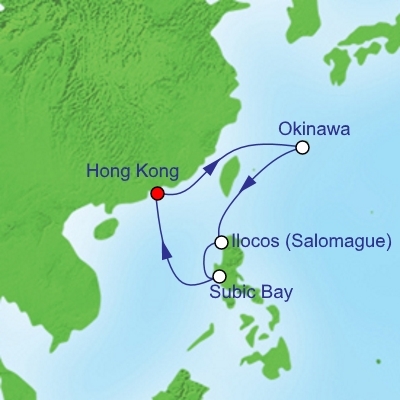 This cruise from Hong Kong is a popular choice and often discounted. Regent operates an all inclusive cruise from Hong Kong to Tokyo via Shanghai, Beijing, and Seoul providing unlimited Beverages, Shore Excursions, Gratuities, Included In-Suite Dining. 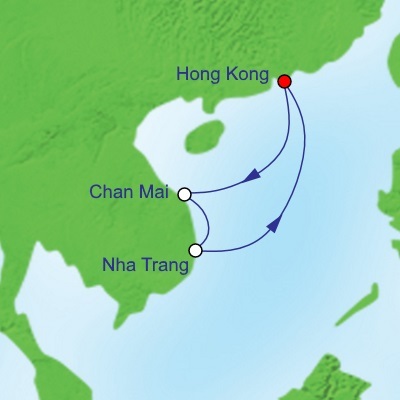 At around $10,000 this a popular cruise out of Hong Kong. Shop to your hearts content on Nathan Road. Sample some Hong Kong delicacies - from Dim Sum, Wontons, Peking duck pancakes & Pork Bun. Drink some to a Tsingtao beer. Take the Tram up to Victoria Peak. Go to Ocean Park or Hong Kong Disneyland.